While reading Krista Ball’s excellent ebook What Kings Ate and Wizards Drank last December, I realized that my own work-in-progress featured several — shall we say — improbable food choices. Baking with fresh blueberries in New England in April 1880 was just the start, I’m afraid. A rather unfortunate problem to have in a book in which one of the main characters works in a kitchen. To correct it, I’ve spent the last few weeks flipping through the stack of period cookbooks I’ve accumulated over the years in an effort to figure out which foods my character actually would have had access to on a monthly basis and what she would have cooked from them. Turns out, reading (and cooking the odd recipe out of) old-timey cookbooks is surprisingly addictive. For day-to-day practical use, I have to give Fannie Farmer the nod. 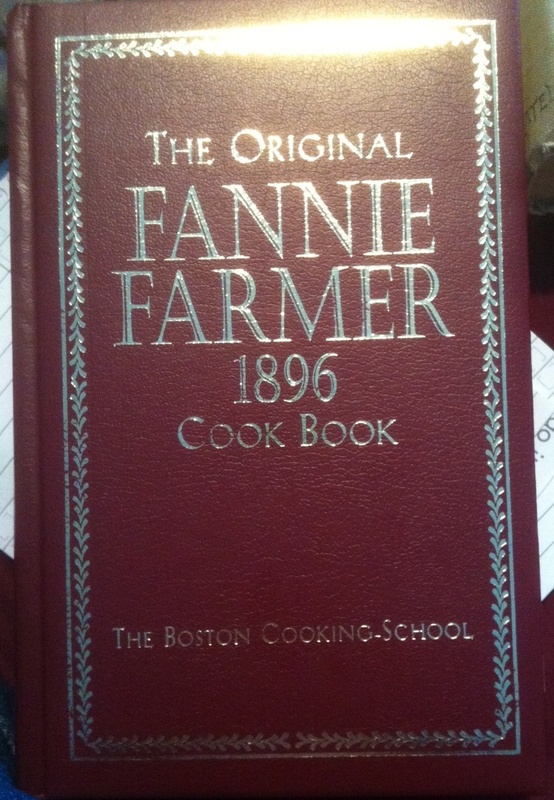 The recipes in The Original Fannie Farmer 1896 Cookbook are notable in that they actually include enough information for me to cook them. My other go-to old-timey recipe book, Marion Harland’s 1905 New England Cook Book, has a distressing tendency to gloss over key points, like how hot to make your oven. To a cook trained to preheat her oven to specific temperatures, the instruction to “use a moderate oven” seems a little imprecise. Still, for sheer readability, it’s hard to top Marion Harland. 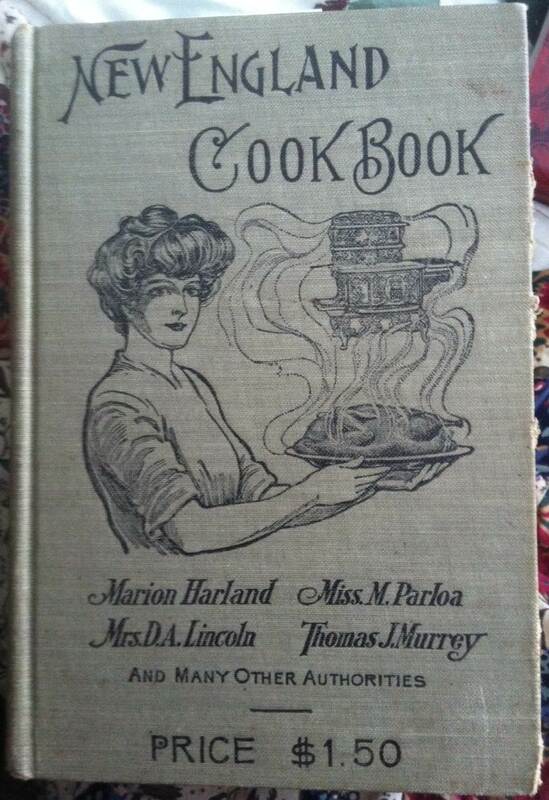 Yesterday’s edition of Dueling Old-Timey Cook Books ended up the way so many of the Fannie Farmer-Marion Harland match-ups have recently. I used Fannie Farmer’s recipe for Entire Wheat Griddle Cakes (yum! ), but enjoyed reading Marion Harland’s thoughts on the topic more. It called for a ridiculous amount of baking powder. More baking powder than I’d ever used in a single kitchen event before. The result: A super fluffy batter and extra-tasty pancakes with lots of rise and a lovely texture. Plus, all that fluffiness meant a single batch made more pancakes than I had expected so there were enough leftovers to feed us all again this morning. I was thinking about the blueberry muffins. She could have made those if she had canned blueberries in the fall. Yep, but since I described in loving detail how she destemmed and rinsed the very fresh from the tree blueberries, I remain thoroughly embarrassed. But yes. Much safer to call it a bush.